Adelaide, 2 November 2012: South Australia is now home to two of the top 10 male 18-19AG athletes in the World after the 2012 ITU World Triathlon Championship held in New Zealand in October where Fuse Multisport Racing Team athletes Sam Tebeck and Ben Tripodi finished 7th and 8th in the Olympic distance event held in challenging conditions in Auckland. Fellow squad member Sam Bolch finished 14th in the 20-24AG sprint distance event. Tebeck’s result was especially remarkable after resuming run training just two weeks prior to the event to manage a niggling leg injury. “I was pretty happy to break 39 minutes in the 10km run leg” Tebeck said. “It was a tough race, I didn’t have a great swim, and then I had to work hard on the bike to close the gap on the guys ahead of me. On the run I was surprised at how good I felt. I just tried to hold my form and pick up a few places”. 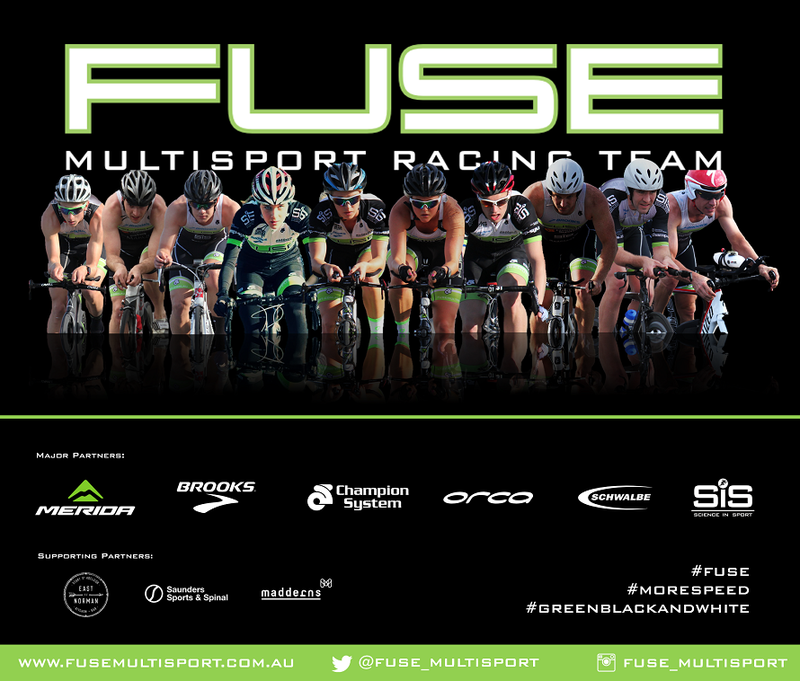 Both athletes completed a gruelling training campaign leading up to the Worlds with their fellow Fuse Multisport athletes, which included State Olympic distance champion (M20-24AG), Glenn Lydyard, who also made the trip to New Zealand to support the team. “The pre-season training was very tough, by far the toughest I have completed” Tripodi said. “But it really paid off during the race. I was happy with my swim, I managed to find some clear water early, then when we hit the bike Sam caught me fairly early on, which spurred me on a bit. I ended up going faster on the bike than we had planned, but I felt strong on the climbs. On the run, the plan was to control the pace early and then give it everything I had”. Coach Steve O’Brien said “Ben and Sam have set some challenging longer term objectives, and gaining experience at an international event was part of that”. O’Brien, who accompanied Tripodi and Tebeck to the Auckland event, said he was looking forward to watching Tripodi’s and Tebeck’s progress at major events in season 2012-2013. “The World Championships was a great experience - but the major events we are preparing for this year are the Geelong Multisport Festival and the Mooloolaba triathlon”. “The team will also compete at some local events”,O’Brien said.